India and Israel joined once again to execute a unmanned aerial vehicle project for the maritime purpose. This time Israeli IAI subsidiary Malat joined hands with HAL who manufactures Chetak Helicopters and the mission systems integrator DRDO. Indian Navy will use the unmanned Chetak helicopters for future maritime search and reconnaissance missions. The NRUAV- Naval Rotary unmanned aerial vehicle project initiated early 2010 to meet the Indian Navy's unmanned operation of maritime multi layered Intelligence Surveillance and Reconnaissance missions from warships deck. 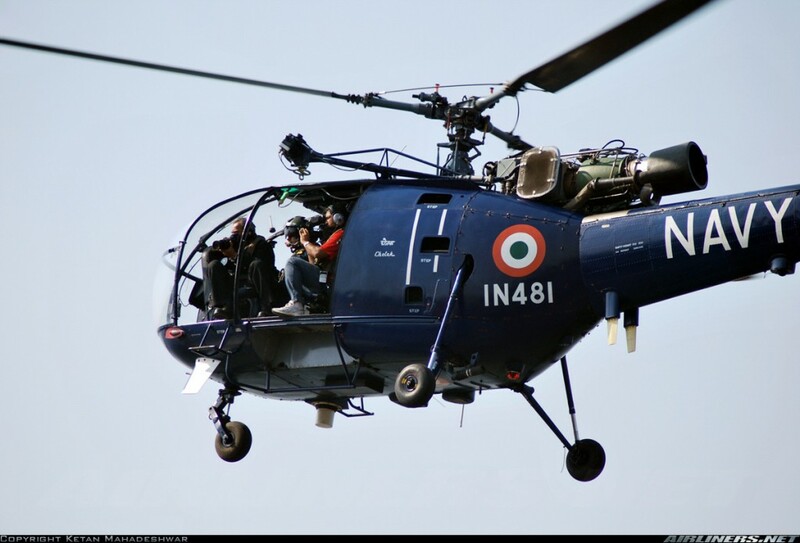 The project entirely based on the HAL produced Chetak helicopters who is currently being used in tri-services. IAI known as the best in unmanned applications, with the support from IAI's subsidiary MALAT the manned HAL Chetak becomes unmanned helicopter with improved ISR capabilities, which include a Maritime Multi mode radar in it's belly and a Electro Optronics for automatic tracking and target range measurement. The Chetak operates same as like the American MQ 8 Fire scout UAV. The Chetak platform can be operated from almost all kind of Naval warships, which include Coast Guard OPV's too. In the manned version using the helicopters for long time ISR mission makes human errors. this due to the heavy vibration and sea states. So making a unmanned system in the existing Chetak makes the Helicopter perform ISR mission for extra long time. Unlike the manned variant, The unmanned system comes with better sensor systems. The Chetak UAV can carry a maritime multi mode radar slated to be the modified variant of EL/M 2022 Radar. The EL/M 2022 used for Long range sea surveillance which increases the ships primary surveillance range, Anti submarine warfare capability, air to air mission which include detection of sea skimming missiles and weather applications. The actual range of EL/M 2022 is more than 200 kilometers. with the effective air borne system the Chetak also operates as a dedicated maritime patrol aircraft in theater applications, Such as fleet defense and forward fleet movements. The Radar also capable to take SAR images. with these unique capabilities, The warship off from the EEZ can easily detect and analyze threats. The Chetak UAV also carries a Electro Optronics pod for search and rescue mission. 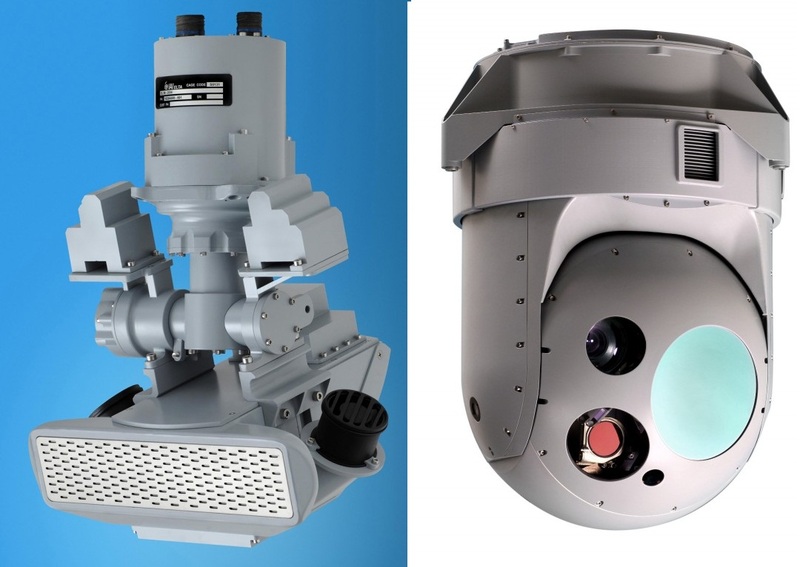 The EO system is IAI developed MOSP - Multi mission Optronic stabilized Payload. Which is used for identifying threats, and tracking it in real time, also used for Search and rescue operations for the possible current status of the mission. The Chetak UAV also comes with variety of EW and countermeasure systems developed by IAI. The system includes. communication and signal intelligence, plus Electronic support measure suites. The Chetak UAV is re designed to work in the operational altitude of 15,000 Feet, with the operational area of some 150 kilometer with six hours of loiter time. with the maximum speed of 100 knots. 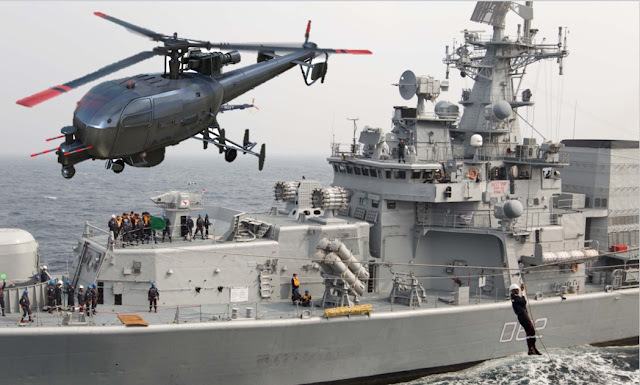 Most of the newer Indian warships can carry two helicopters, the main reason is to carry a Chetak UAV along with Naval Multi role helicopters. To increase the ships performance in future battles. The Chetak UAV can provide over the Horizon detection support to the Naval Ships. As per current status, The mission system supplier IAI, The helicopter producer HAL and the system integrator DRDO almost close to fly the system. However actual status of the Chetak UAV is remain classified.